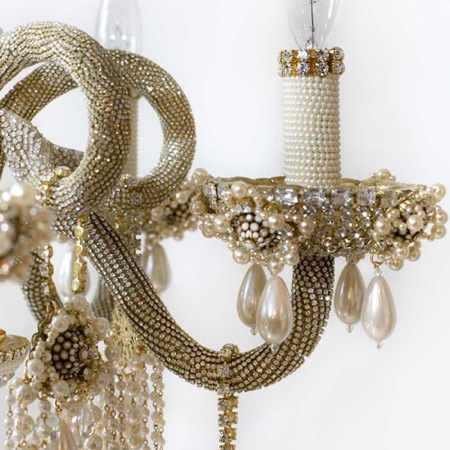 I have found tons of DIY projects online that are to die for, people come up with the most creative things! These are a few of my faves because they are really about making something incredible while using things that may have other wise been trash. These lamps are felted and embellished , did you know you can turn old sweaters into felt? 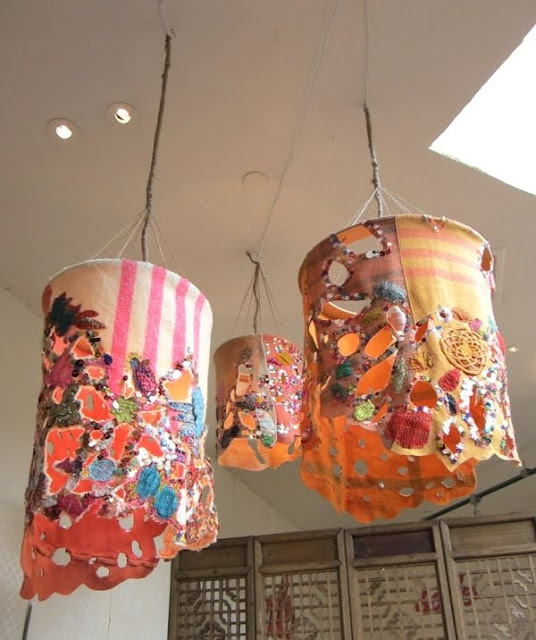 These are Free People vases mod-podged with bits of fabric which they used for display in their stores. 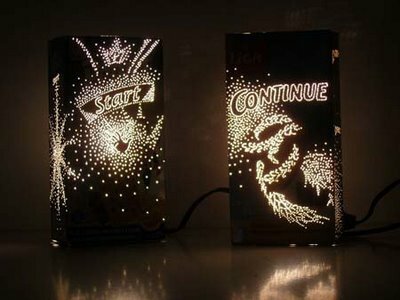 These would go perfect in my house. They are also a great way to re-use some ugly vases! 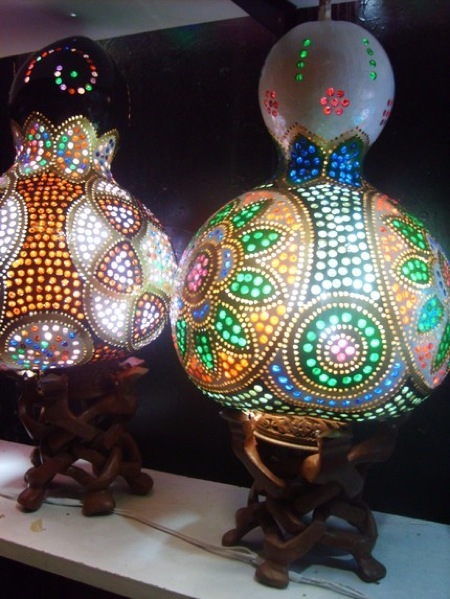 Gourds- yes gourds- painted and carved and the holes filled with beads or marbles. Love. 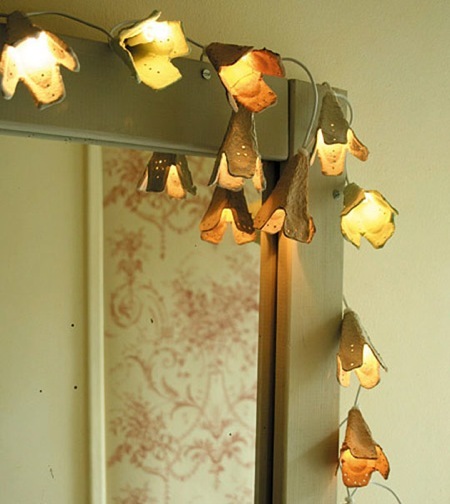 Egg carton fairie lites...so sweet.